Info- This lush, sparsely populated island off Bali is a heaven for reef manta rays. Declared a protected area to safeguard megafauna species like the manta rays and the Mola mola, Nusa Penida is a wonderful way to show Indonesia that you support their efforts towards marine conservation. Several researchers live or work on the island so the local operators are all well briefed on codes of conduct. For me, this is one of the perfect case studies for sustainable tourism. Tourists can access the island with day boats from Nusa Lembongan or Bali… and what a day it is! 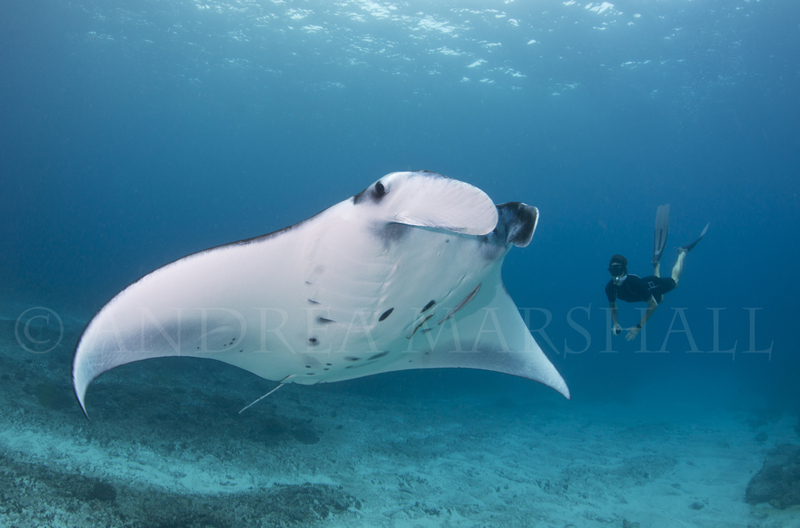 I usually opt for early morning dives to Manta Point followed by a lovely picnic lunch then a good few hours of snorkeling with feeding mantas at ‘Big and Little Manta Bay’. The mantas are relatively small at this location but there are plenty of them and they are incredibly relaxed and tolerant. Nusa Penida is one of the best places I know for manta photography and it is a location that I return to time and time again.